As part of this year's Bike4Bart Sportive, our Watersports Festival starts at 10.30am at our Andrew Simpson Watersports Centre Portsmouth, with FREE land and water-based activities for all ages! Come down for breakfast to wave off our Bike4Bart then sign yourself up for sailing, kayaking and mega SUP taster sessions to name a few. 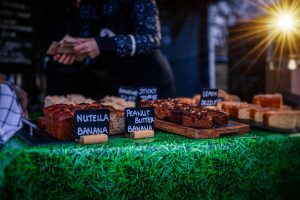 Have a go in our kids demo area run by Frog bikes, enter mini-time trial races, eat, drink relax and enter our raffle to win some brilliant prizes! More information below. Sign up at B4B Watersports Festival for FREE entry to the festival village and free water-sports sessions! 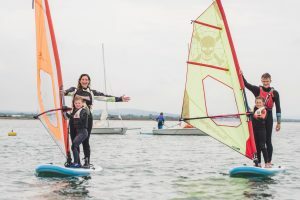 Free sailing, windsurfing, kayaking and mega SUP taster sessions! Battling it out over sprint distances - fun for kids and adults alike! A variety of educational activity and crafty stalls including The Big Blue and facepainting for the whole family! Amazing prizes to be won from our charity raffle including a lightweight frog bike from Frog Bikes, a sailing watch worth 400 Euros from Sunsail, merchandise from Primal, Muc-off and more! Purchase your raffle tickets from our Watersports festival eventbrite page! 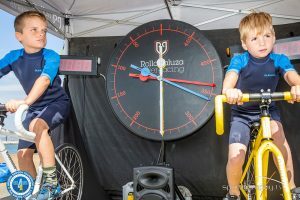 Have a go on a Sailing Simulator provided by event supporter Decathlon, in addition to a variety of land based activities and a FREE bike service if you ride down to the festival! Book on to our yoga sessions by The Soulful Life:£7 Per Hour, Kids £310.30 - 11.30AM - Flow Yoga 12 - 1PM - Family Yoga 1.30 - 2.30PM - Family Yoga 3 - 4PM Flow YogaWatch out for interactive beat boxing in the crowd ahead of Bomo Swing's set! We have coffee, cake, pizza, pasties, ice-cream, crepes, beer, soft drinks: refreshments for everyone! The Brew Shack will be making sure you won't go thirsty with their locally brewed ales, including our Bike4Bart special! 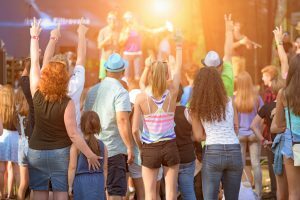 Nearby Parking available for festival goers at car parks in: Farlington Marshes, Eastern Road, PO6 1SR; Park and Ride, Tipner Ln, Portsmouth PO2 8AN; and Eastern Rd, PO3 6QB. Parking on-site for volunteers and staff only. Live Bands from noon with Bomo Swing, Decade and Powdered Cows: DJ from 6-8pm! Battling it out over sprint distances - all day fun for kids and adults alike! Sponsored by PKF Francis Clark. A chance for all ages to have a ride from balance bikes to larger Frog models! You can also enter time trials, balance bike races and more! Be in it to win it! 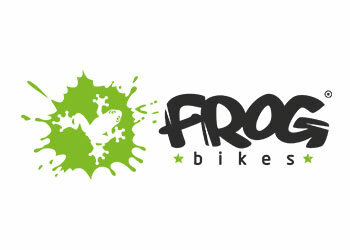 A Frog bike will be up for grabs as a raffle prize: purchase your tickets when you sign up for your FREE Watersports sessions! The club will be bringing across their Coded 7.8 metre Ballistic rib and their highly experienced commercial skipper for the day. They will be offering Rib experiences throughout the event taking you on a tour of Langstone Harbour and venturing on to the Solent to get a real experience of Boat Club Trafalgar has to offer. Presentation by Ben Ainslie on the main stage. All proceeds from your Bike4Bart entry fee go back into the Foundation so that we can continue to provide opportunities for everyone to get out on the water: we do this by delivering a range of key charitable activities, further enabled through fundraising and partnerships. Absolutely everything the Foundation does is driven by our belief that all young people have the ability to excel and succeed in life and work. We believe that the challenges of Sailing and Watersports do this by promoting health and well-being and building essential personal skills. Can you help support us? Visit the Just Giving page via the donation button below, it really makes a difference.